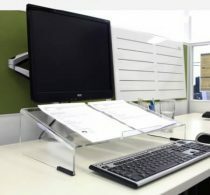 Posture correcting stand for typists who look down at the keyboard when keying. 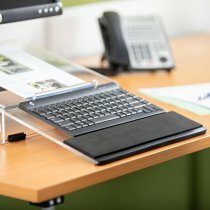 Posture correcting keyboard stand for typists who look down at the keyboard when keying. 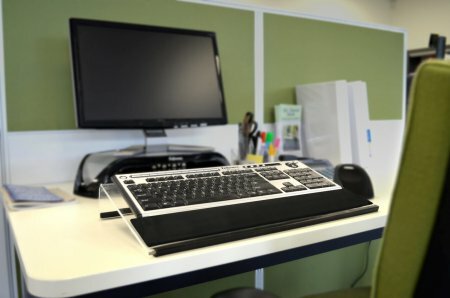 KeySlope raises and angles the keyboard reducing the degree of neck and back flexion and head downward tilt needed to look at the keyboard.